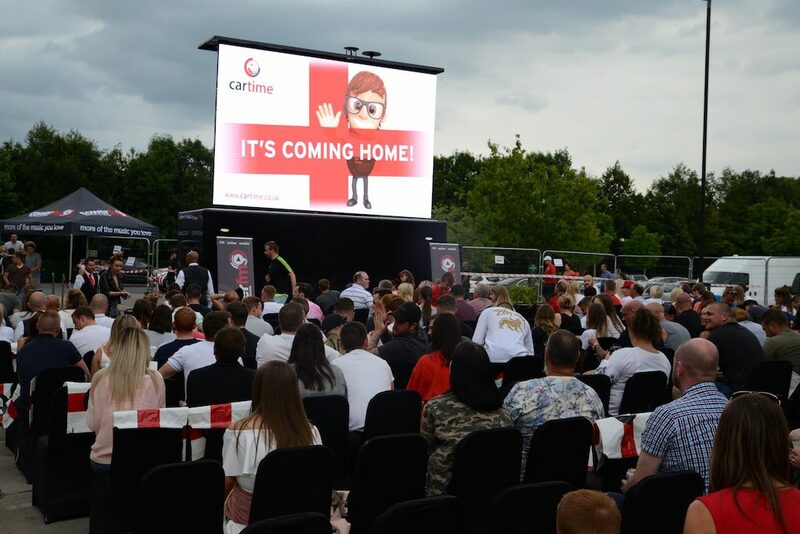 Mobile media LED screens and digital screen hire is an increasingly popular and effective method of promoting your brand, event or product to large-scale audiences. Events such as music festivals, product launches and sporting tournaments are all about creating memories, and this is something that your business can achieve as well as a return-on-investment with this unique and cost-effective form of advertising. Mobile Media is a platform that allows you to select your audience to maximise ROI and generate additional value with your marketing strategy, rather than putting yourselves in front of the wrong crowd. Engage your brand with your target audience in both the time and place of your choice. The most desirable factor of mobile media and digital screen hire is its flexibility. Lucid Outdoor offer a one-stop-shop service to provide your brand with both your chosen location, a high-definition screen sized to suit the environment that is linked to the feed of your choice. This will then provide a platform to offer third-party advertising that will give you a return on investment. We will even sell the advertising space for you. Whether you opt for a static screen or one that rotates 360 degrees to maximise your reach, we can provide a range of LED screens to suit your needs. Our mobile media solutions can display your brand as a sponsorship for live events, creating a long-lasting familiarity with both current and news consumers. 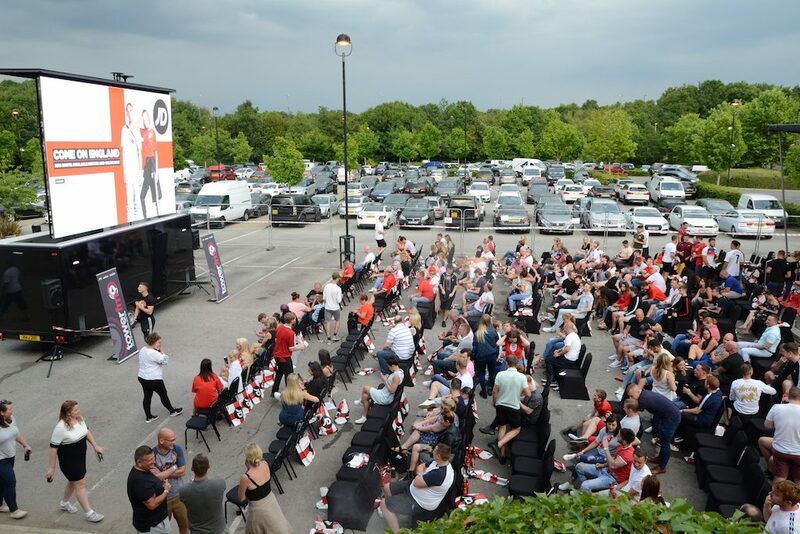 As anticipation quickly built for England’s World Cup Semi Final match against Croatia on the 11th July, Lucid Outdoor were able to provide a large-format, high-quality screen for the Village Hotel in Bury. With an event of this calibre, bigger meant better for the sold-out audience at The Village Hotel. We provided the crowd with a screen that would be big enough to reach the entire crowd to match the scale of the event. Working closely with The Village Hotel, we agreed that the screen would be erected near the entrance of the hotel, ensuring close proximity to both the reception, bar areas and car park. 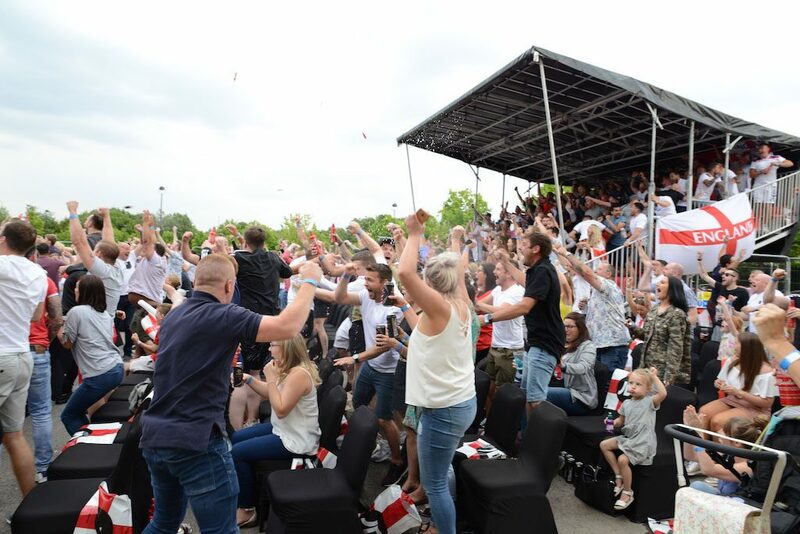 Crowds began to fill up the seating area an hour prior to kick-off, as the event quickly started to fill up with excited England fans, families and friends coming together to support the team. Local radio station Tower FM provided excellent coverage throughout Greater Manchester to those who couldn’t secure tickets for the event. 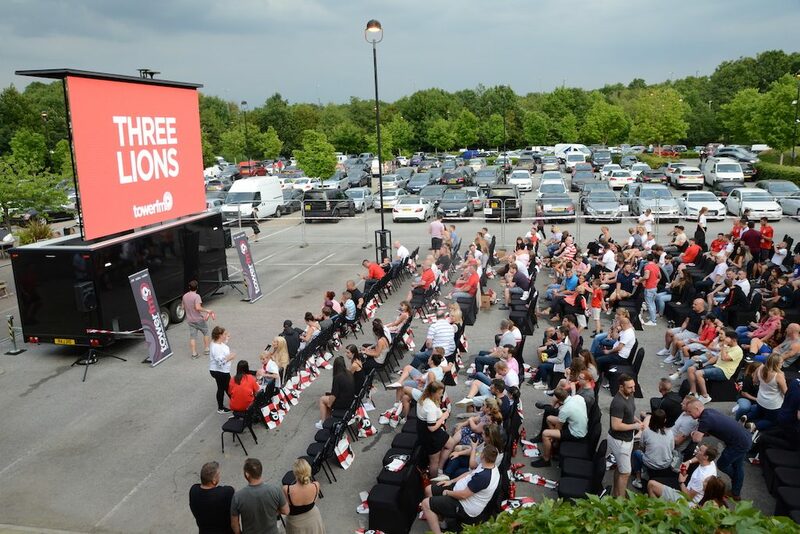 As anticipation built up for the match, national brands such as Lucozade, Sauvage and JD Sports promoted their products on the LED screen, with the latter also promoting themselves through handing out free sports bags to the audience. Despite the disappointment of England losing the game to Croatia 2-1 in extra time, it was clear that fans were proud of the display of both the team and the screen. Mike Cleary, Managing Director at Lucid Outdoor, attests to the power of such a flexible form of marketing. “The great thing about these mobile LED screens is that they are a unique platform for gaining exposure. It was great to see the buzz on social media created by ourselves, The Village and Tower FM who all promoted the event, something that can really help drive PR and engagement with your audience”. Does Mobile Media sound like a solution for your brand? Contact us below and we’ll give you a call discussing your individual requirements and how we can help you.